Moving to Hampstead can be an expensive process which is usually around the time when you need the expense the least. Deposits, stamps and buying new things for your home can all add up, but and actual move doesn’t have to as long as you follow some simple money saving rules. 1. Free sites are your friend. There are several internet sites that offer free things or a swap. One of the main things that pop up here often are boxes and moving essentials. You may even find some furniture if you are willing to pick it up. It may be worth the man and van hire for the money you will save on not buying your furniture piece. If you are struggling to find your boxes then look into what you might already have, suitcases, shopping bags and trolleys. Any smaller boxes can be great for grouping together bits and bobs ad helping you to get more organised during your relocation to Hampstead, NW3. 2. Use what you have for packing materials. There is no need to spend money on bubble wrap or packing materials when you have bedding and clothes to move. Wrap delicate items in your duvet and kitchen glassware can be rolled up in t-shirts, jeans or any other clothing to protect it. Pillow cases can be great for transporting electrical wires or bits and bobs. These are also great space saving ideas and if you get organised early you can plan your move to the NW6 area better. 3. Moving by hand. Making several trips means you can move the majority of smaller items yourself. Several suitcase loads means you can bring empty suitcases and refill them again. It may be a bit of an effort going back and forth but it’s much more cost effective and you will be surprised how much you can get moved. Doing it all yourself is great if you have small removals to do, but if you do find you need to hire a moving company then the less they have to move to Hampstead then the cheaper the price should work out, so it’s still worth attempting a few loads alone. 4. Shop around for the best movers, as long as you leave yourself plenty of time to search around your local area then you should be able to find the best quote. Cheap removals are available but you often have to research. Try asking friends and neighbours or anyone in your area. If you can get a friend with a car then just offering to pay their petrol money will be much cheaper and they will be helping you out a lot. Anyone you can rope in as an extra hand for your move to NW11 is going to end up saving you money in the long run. 5. Plan your route. Once you have everything packed up then it’s a good idea to plan ahead. However you are planning to get to your new space then the shortest route is a good idea to have mapped out. If you have hired movers then it will be useful for them too and you can ensure they don’t spend any extra time driving the wrong way that you may end up getting charged for. If you are going by foot then plan the best public transport routes and make sure you avoid any rush hours if you are traveling with lots of things. It will only make your journey harder. Moving on a budget it definitely possible and you will thank yourself when that hard work is over. Just remember to plan ahead and leave time. Description: London removal company offers you professional moving services from A to Z! 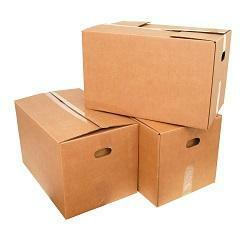 Contact our moving firm and have a delightful removal experience. Copyright © 2013 - 2017 The Man. All Rights Reserved.